← Sportsthoughts (137) – 2015 Rugby World Cup predictions! 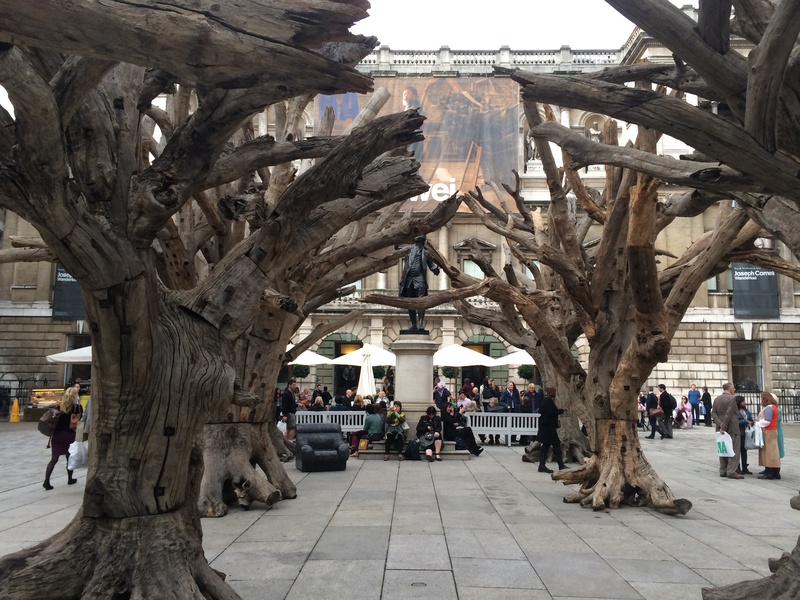 The Chinese artist, Ai Weiwei’s exhibition opened at the Royal Academy on 19 September. I got to see a friends preview the day before, after work. It’s a must-see if you are in London. A fascinating insight into the artist’s struggles with the Chinese authorities and his campaigning for the rights of the people of China. He tackles the way the authorities have sought to destroy inconvenient history, the neglect and corruption which made school buildings so vulnerable to the Sichuan earthquake of 2008, oppression in general. His own experience includes imprisonment, and that is well-documented too. This is art as a political statement and a personal experience. Powerful stuff. A few iPhone snaps – just a taster. This one’s “Cao”, or grass. Also an internet term of abuse apparently. 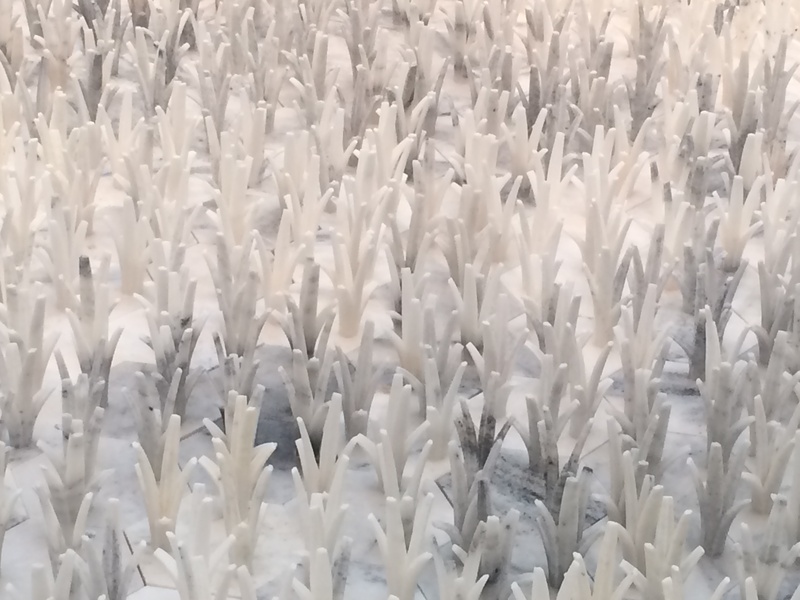 Each blade of grass and the supporting hexagons hewn from a quarry in which Ai Weiwei bought a share. Same marble as used for Mao’s mausoleum in Tianaman Square. Surveillance cameras never far away. Not so different to London in that respect. 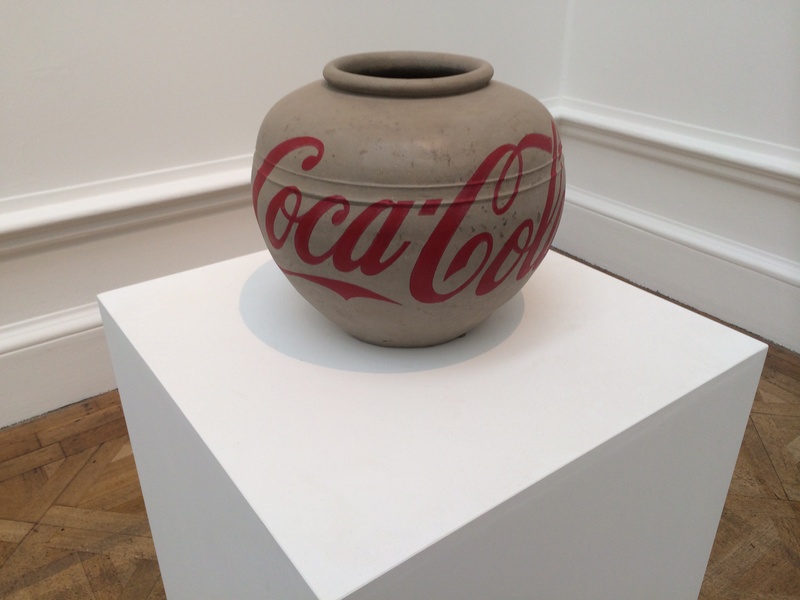 Reaching back into the past, and alluding to the way the authorities have reinvented history, Ai Weiwei takes ancient vases and modernises them. There’s a story about an arts centre in Shanghai Ai Weiwei built at the local authorities’ request. The order was then countermanded and the building razed to the ground. Just before its brief opening, Ai Weiwei, who knew it would also be destroyed, arranged a party. 800 guests turned up to eat river crabs, a synonym of harmony, and also internet censorship. Ai Weiwei was put under house arrest, so he couldn’t attend his own party. But he rescued some of the rubble and reassembled it. And he made hundreds (thousands?) of porcelain river crabs. 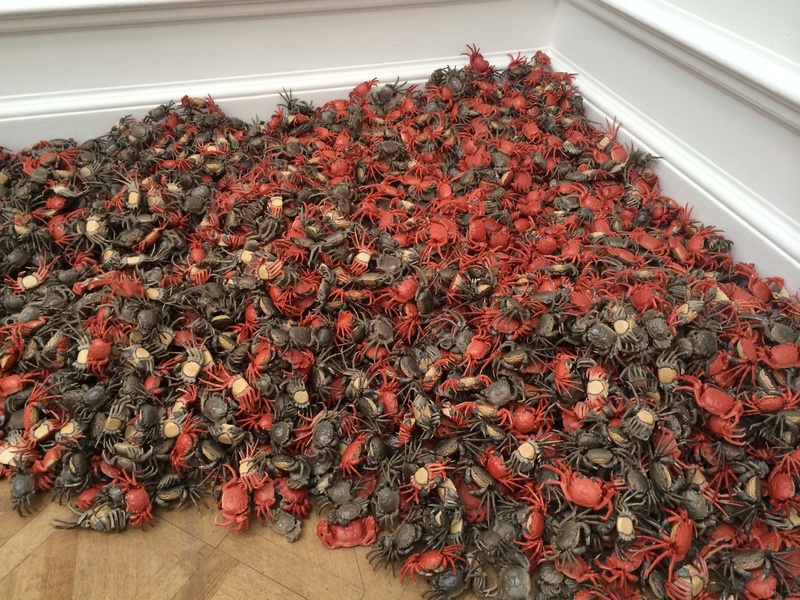 These mass objects are a typical Ai Weiwei work. He filled the Tate Modern’s Turbine Hall with millions of porcelain sunflower seeds back in 2010. Outside, in the courtyard, there’s “Tree”. The exhibition is on until 13 December. Catch it if you can! 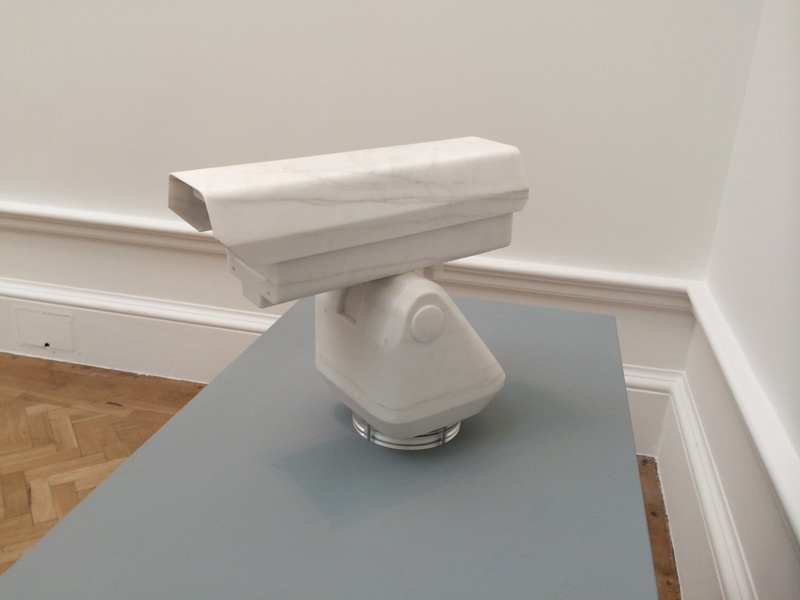 This entry was posted in Art, books, theatre, cinema and tagged Ai Weiwei, Art, Royal Academy. Bookmark the permalink. Thanks, John. This looks sensational. I’m lucky enough to be attending a Private View of this next week, with the curator in tow – one of the perks of my long-term (if sometimes sporadic) consulting gig at the Academy. 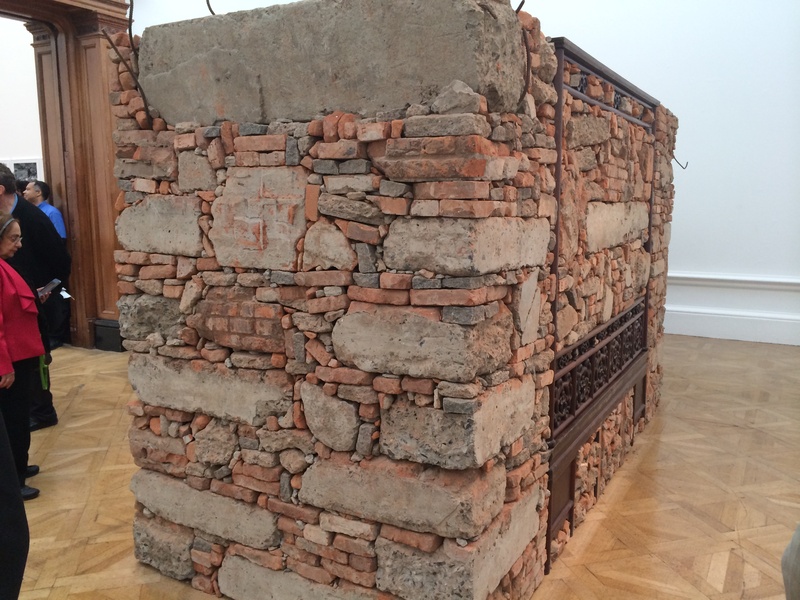 I’ve always loved Ai Weiwei’s work, and this looks absolutely amazing. Can’t wait to see it. Getting the curator’s insight will be amazing. Look forward to hearing about it. Amazing work! The “local authorities” don’t make sense…They request something be made, then destroy it???? Er, yes! The madness of Communist China, I guess.